When the invitation arrived and it was hosted by Vanity Fair, Diane Keaton, publisher Benedikt Taschen, and Fendi, who could say no? I struggled through the pre-Thanksgiving week traffic to Hollywood to a landmark location – The Windows of the World on Sunset Boulevard for the book release party of Los Angeles, Portrait of a City and fundraiser supporting the Los Angeles Conservancy. 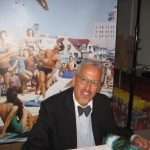 Besides the fact that all of the Taschen books are treasures, the event drew a lovely and lively crowd. 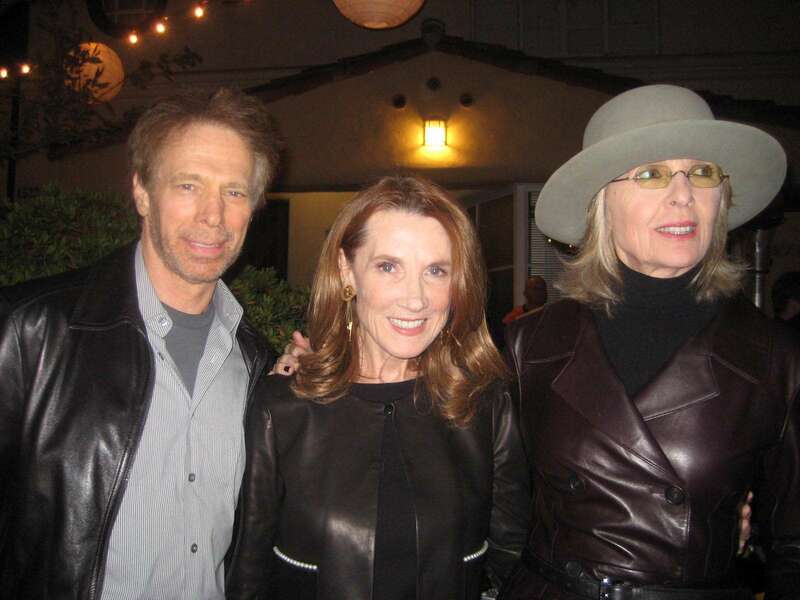 I mingled with Linda and Jerry Bruckheimer who are supporters of the Conservancy and met the wonderful Diane Keaton. At the event, I learned that the Los Angeles Conservancy is the largest of its kind in the country with 6000 supporters. The thought of beautiful historic landmarks in Los Angeles being retired for strip malls was upsetting to us all. Rumor had it that the Santa Anita Racetrack might be on the list of one of those special places that might disappear someday. Arriving at the historic Crossroads of the World made me reminisce of the day over 20 years ago, when I met with singer-songwriter Graham Nash, whose office was located at this very site. We were working on a live broadcast called “The Children of the Americas Radiothon” and I was providing the world-wide satellite feed for the event. I hadn’t been on the property since that memorable day, and was treated to a private tour of the property by the owners. 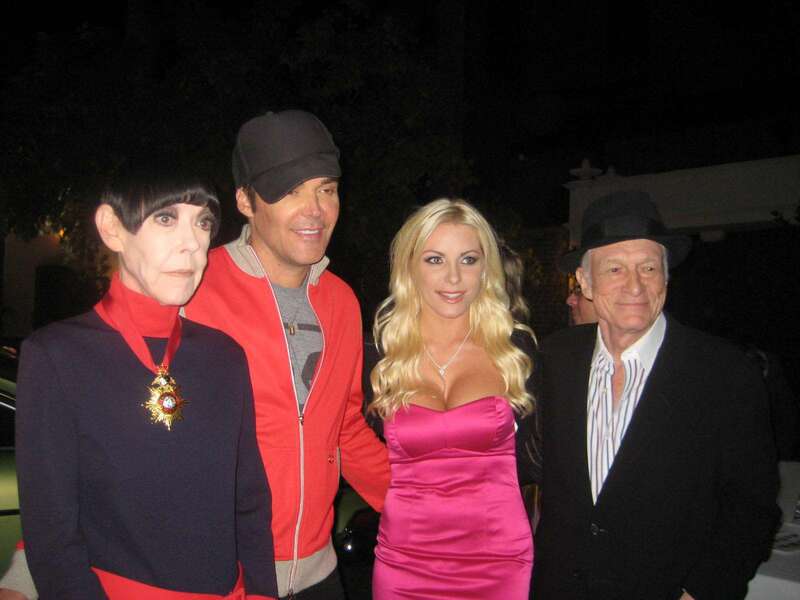 Among the crowd I noticed Hugh Heffner along with Crystal Harris, and 60s model Peggy Moffitt. The holiday season has officially launched in the City of Angels, and we were reminded of this with a great selection of music in the background including LA Woman by the Doors, Calfornia Dreamin’ by the Mamas and the Papas, and the Beach Boys – California Girls. Pick up a copy of Jim Heimann’s book. It will make a terrific holiday gift for natives and transplants alike. After a night like this, it makes me want to rush to the mailbox to see what is in store next week. Hi Mari Ann. Thanks for your comment and for reading the story. Unfortunately, I never had the opportunity to taste the fabulous wine at the event, so I don’t know the name of the winery. Totally would have wanted to go to this, but unfortunately found out about it too late! But it looked like it was a cool event from what I could see on the internet. but have been finding that the internet is much better at showing what happened than what is to come! Wish she had an online calender! 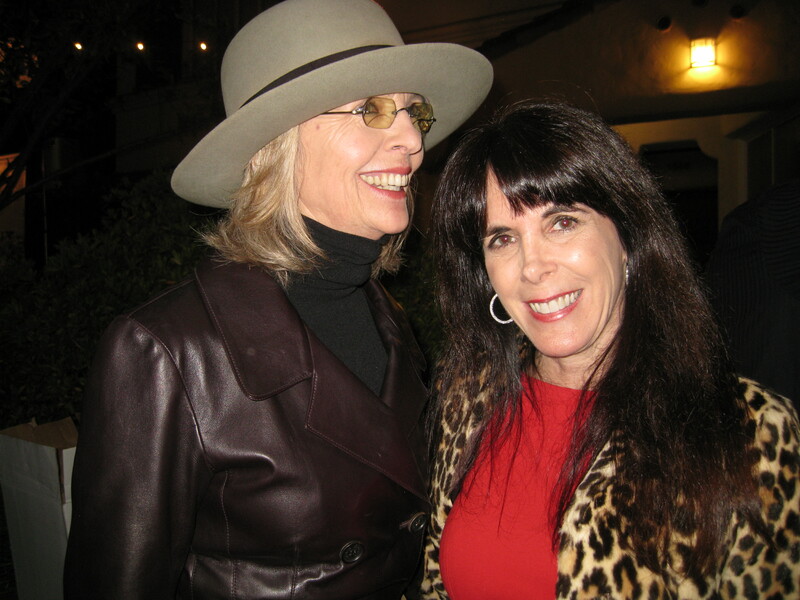 Did get to meet the (I agree -wonderful) Diane finally at the L.A. Conservancy fundraiser Dec. 12th and looking forward for more opportunities to do it again-she was great!